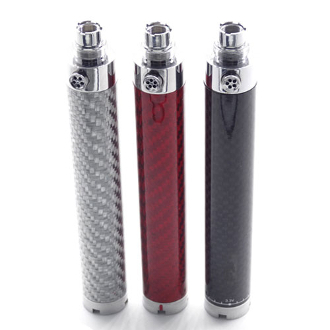 The ECU CF 2200 Twist Battery is a great addition to your collection of e cigarettes. It has a 2200mAh battery capacity that will give you ample amount of time between charges. The ECU CF also has a variable voltage twist feature located towards the bottom. Its ability to range from 3.3 - 4.8 volts gives you a customized hit each time! Plus the batteries are designed with a carbon fiber material keeping your batteries smooth and stain free. Dependable and universally good looking, the ECU CF 2200 Twist is sure to be a fan favorite!